Spanking can have negative consequences up to 10 years later, new research finds. The study found that children spanked in infancy had worse behaviour and personalities in their teens. MONDAY, July 31, 2017 (HealthDay News) -- In yet another sign of just how deadly the U.S. opioid epidemic has become, researchers report a sevenfold increase in the number of drivers killed in car crashes while under the influence of prescription painkillers. Prescriptions for drugs such as oxycodone (OxyContin), hydrocodone (Vicoprofen) and morphine have quadrupled, from 76 million in 1991 to nearly 300 million in 2014, so it's no surprise these medications are playing a growing role in highway deaths, the Columbia University researchers said. "The significant increase in proportion of drivers who test positive for prescription pain medications is an urgent public health concern," said lead researcher Stanford Chihuri. Prescription drugs can cause drowsiness, impaired thinking and slowed reaction times, which can interfere with driving skills, Chihuri said. From PBS on 08/01/17 Editor's note: This story is not only about the effects of lead on children's brains but also about the ethics of leaders in organizations when they are in government and schools. The government of Flint and Michigan is seriously dysfunctional and the superintendent schools in Flint is a hero whom we all would do well to emulate. Click on image to enlarge for easier reading. THURSDAY, Aug. 3, 2017 (HealthDay News) -- A new survey finds 55 percent of Americans regularly take a prescription medicine -- and they're taking more than ever. Those who use a prescription drug take four, on average, and many also take over-the-counter drugs, vitamins and other dietary supplements, the survey done by Consumer Reports shows. But many of those pills may be unnecessary and might do more harm than good, according to a special report in the September issue of Consumer Reports magazine. Among those who take prescription drugs, 53 percent get them from more than one health care provider, which increases the risk of adverse drug effects. More than a third say no provider has reviewed their medicines to see if all are necessary. Forty-nine percent of survey respondents who regularly take prescription medicine asked their prescribers whether they could stop taking a drug, and 71 percent were able to eliminate at least one. "We can see that when consumers ask if they can stop taking at least one of their medications, in the majority of cases, their doctors agree," Ellen Kunes, leader of Consumer Report's Health and Food Content Development Team, said in a news release. Medications can be helpful tools to manage symptoms and underlying physical disorders, but the knee jerk reaction in the business model of delivering health care services is to prescribe a drug. It is quick and easy and gets the patient off the physician's back in 12 minutes or less. In other words, prescribing drugs is good business but can be questionable health care. Patient's feed into this dynamic believing that unless the physician prescribes a drug for their complaint they haven't been taken seriously. The problem of the overprescription and utilzation of pharmaceuticals is endemic to the corporate culture of modern health care delivery. As the old Latin expression Caveat Emptor states, "Let the buyer beware." Addiction Drug Underused by Primary Care Docs in U.S. Many doctors aren't making full use of a medication that can wean people off addiction to heroin and prescription painkillers, according to results of a new survey. Buprenorphine is the first drug for opioid use disorder that's approved for prescription by primary care physicians, allowing treatment in the privacy of a doctor's office. But many doctors aren't applying for the federal waiver that would allow them to prescribe buprenorphine, said researcher Andrew Huhn. He's a postdoctoral fellow with the Johns Hopkins University School of Medicine's behavioral pharmacology research unit. Further, most who have obtained a buprenorphine waiver aren't prescribing the drug to as many patients as allowed, Huhn said. This reluctance to fully utilize buprenorphine is hampering efforts to combat the epidemic of opioid abuse in the United States, Huhn said. American's have been led to believe that their is a magic bullet and a magic key for addiction problems when in fact they are complex, multi-dimensional, and not easily addressed in a primary physician's office in a 12 minute office visit. Addiction treatment requires not only medication but also a focus on the psycho-social, legal, and spiritual issues which addiction involves. This is not an area of expertise for most primary care physicians nor do they have the time and energy to address these issues without them being a disruptive to their medical practice. Bottom line is that treatment of addiction is best when it involves not only medication but a counseling component as well. Primary care offices are not equipped for this counseling component of high quality addiction treatment. There was a very good article for lay people in the Guardian on October 28, 2008 entitled "What Are The Symptoms of ADHD?" It is worth reading. It is clear, succinct, and straight forward. I recommend it. You can access it by clicking here. Great article in the April 15, 2009 issue of the American Family Physician journal. In the same issue there is an editorial which addresses the need for a multi-modal approach to treatment. You can access it by clicking here. Editor's note: I often tell the parents of my young patient's that overall the best thing they can do for their child with ADD is give him/her "the gift of time" because of the cognitive, emotional, and social delays associated with ADD which cause the emotional and social age of the child to be 2 - 4 years behind their chronological age. Now there is biological evidence that the cause of this is delayed brain development. The characteristics of facial expression recognition of children with ADHD has been initially identified by researchers by measuring hemodynamic response in the brain. They showed that children with ADHD showed significant hemodynamic response to the happy expression but not to the angry expression. 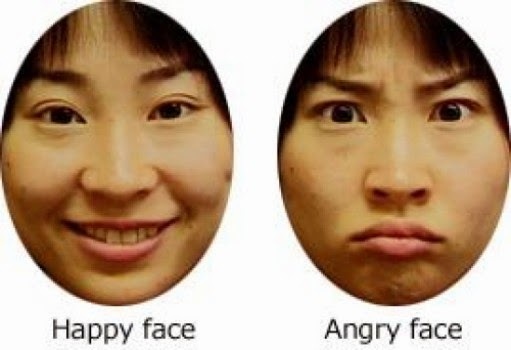 This difference in the neural basis for the recognition of facial expression might be responsible for impairment in social recognition and the establishment of peer-relationships. 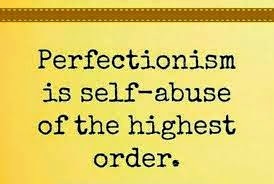 Experts are calling for closer attention to perfectionism's potential destructiveness, adding that clinical guidelines should include perfectionism as a separate factor for suicide risk assessment and intervention. 'There is an urgent need for looking at perfectionism with a person-centered approach as an individual and societal risk factor, when formulating clinical guidelines for suicide risk assessment and intervention, as well as public health approaches to suicide prevention,' says one researcher. In Schema therapy this schema is called "unrelenting standards." From Robert Reich's blog: According to a new federal database put online last week, pharmaceutical companies and device makers paid doctors some $380 million in speaking and consulting fees over a five-month period in 2013. Some doctors received over half a million dollars each, and others got millions of dollars in royalties from products they helped develop. Doctors claim these payments have no effect on what they prescribe. But why would drug companies shell out all this money if it didn’t provide them a healthy return on their investment? America spends a fortune on drugs, more per person than any other nation on earth, even though Americans are no healthier than the citizens of other advanced nations. Of the estimated $2.7 trillion America spends annually on health care, drugs account for 10 percent of the total. Government pays some of this tab through Medicare, Medicaid, and subsidies under the Affordable Care Act. But we pick up the tab indirectly through our taxes. Andrea was insecure and this is what Greg loved about her. Greg believed that Andrea would love him because he could take care of her and make her feel safe. As Andrea felt more secure and confident, Greg became increasingly anxious and depressed. Greg went to see his doctor who told him he was suffering from depression and gave him antidepressant medication. The medication helped a little bit, but Greg still felt "off" as Andrea seemed to be doing well and didn't need him anymore. 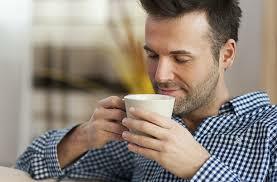 Greg's doctor told him his neurotransmitters were not working properly and were flooded with Serotonin. Whatever the cause, Greg was not feeling much better and decided to see a psychotherapist. The therapist asked Greg after a few meetings if Greg thought that maybe he was suffering from a spiritual problem? Greg responded that he had no idea what the therapist was asking him. What kind of a spiritual problem could it be? The therapist offered the idea that Greg was dealing with a sense of shame, a sense of innate defectiveness and inadequacy which he tried to overcome by taking care of, what Greg called "love", people so that they would love him back. Greg acknowledged that this unconscious dynamic may be at play. The therapist then asked Greg where he thought this sense of inadequacy and defectiveness had come from? Greg said he had felt this way since he was a child and his mom and dad divorced when he was three and he missed his father and his mother started drinking and leaving him with a sitter to go out with other men. Greg said that he always wished his mom and dad loved him more and were there for him. He found that by being very good and trying to be helpful seemed to make his mom and dad like him better. Greg said that maybe his whole life was based on a belief that if he was nice to people they would like him so he has striven his whole life to be what his best friend called "being a people pleaser." The therapist suggested that his whole life has been based on this belief that he is inadequate and defective in some way and that he would be all alone unless he was able to take care of and please other people. The therapist asked if this was the basis of his "love" for Andrea? Now that she was more secure and confident rather than being happy for her, Greg was getting fearful and depressed believing that Andrea wouldn't need him any more and leave him? Greg started to cry and said, "I'm really messed up, aren't I?" The therapist said, "Not at all. You are perfect just the way you are, you're just learning that Life wants you to be happy and have a high quality life just because you are alive and part of this wonderful universe." Greg smiled and said, "Thank you." The spiritual problem is one of shame which is the innate belief and feeling that we are inadequate and defective in some way. Further we think that it is only a matter or time and circumstances before this supposed fact comes to light and we are found out to be the shameful creatures which we believe we are. As Christians tell us we all our sinners if not for what we have done, at least because of the sin of Adam and Eve in the Garden of Eden for which Jesus died on the cross to assuage the anger of the Father God who is mad about our disobedience. This belief in our sinful natures which requires sacrifice and suffering for exoneration and redemption is the Great Lie of the ego. The spiritual fact is that God loves us unconditionally and it is we, humans, who create our own guilt and hell because we have separated ourselves from the unconditional love of God by our willfulness and drama. If we could overcome and rise above our own drama, we could create heaven on earth. Greg has created his own hell believing that he is unworthy and can only be whole if he sacrifices and suffers, what he calls "love.". Nothing could be further from the Truth and it is Greg's false spiritual belief which has placed him in his own hell. Heaven, however, is within his grasp once he realizes that he is okay and will be okay just the way he is. He is loved by his Creator. "Relatives need to understand the disease of addiction, learn skills for living with addiction, learn how to discourage excessive alcohol or drug use, and understand how to communicate with an abuser in a positive manner.Family counseling sessions should help addicted people and their relatives to lay out long-term plans and goals for recovery. Families also should learn that the recovery techniques don’t work the same way for everyone, Ackerman said. Some may take longer than others to respond, some will respond in different ways, and not all will reach the same level of recovery — a factor called recovery lag." My experience has been that families struggle with four primary emotions when a family member is addicted: anger, fear, confusion, and love. The confusion comes from a lack of understanding about what they are dealing with and the conflicted messages that our society sends about addiction. 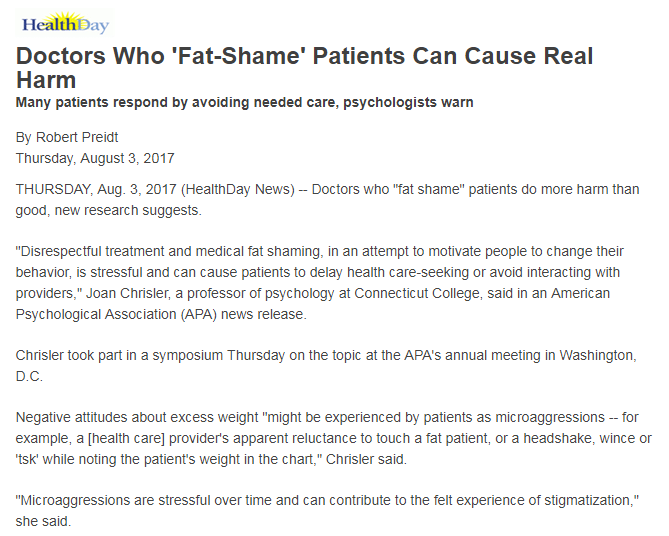 Even professionals and the health care system is conflicted. The anger comes from being stolen from, injured, lied to, and mistreated and, of course, the underlying fears of being hurt again or our loved being harmed or harming someone else. Because of these emotions of anger, fear, confusion, and love there is a tendency to enable, punish, or cut off. These managements strategies usually not only don't help, but make the situation worse in the long run. And so what does help? What helps is detach with love, that is creating appropriate boundaries of what you can do and can't do to help. Providing appropriate help, but not rescuing. Helping means supporting the person's well being and ability to help him or herself by providing information, coaching for better life skill management, and providing opportunities for using that information and skills. Rescuing means bailing people out, covering things up, minimizing and denying so that the using person doesn't have to experience the consequences of their own use. 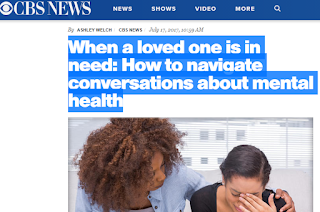 Getting help from a professional coach that can guide the family's development, implementation, and evaluation of their management strategy often is the best way to engage with the addicted family member in a consistently helpful way. While every person struggling with addiction and every family is different there are some basic principles that can be helpful for all families. These principles will be described in future articles. For more about the article about Robert Ackerman click here. 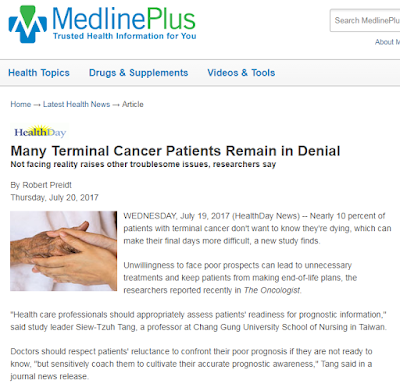 If you were terminally ill would you want to know? 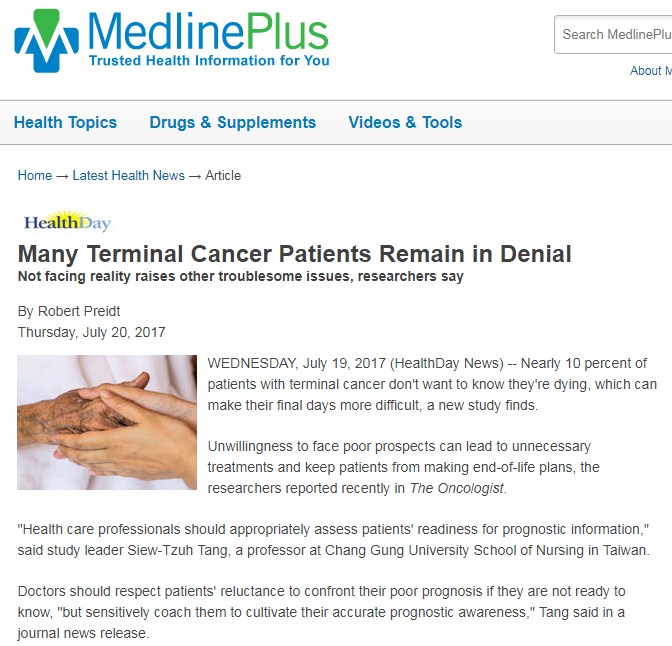 A study reported on July 20, 2017 done with 250 terminally ill patients in Taiwan found that about 10% did not want to know about their diagnosis and prognosis. 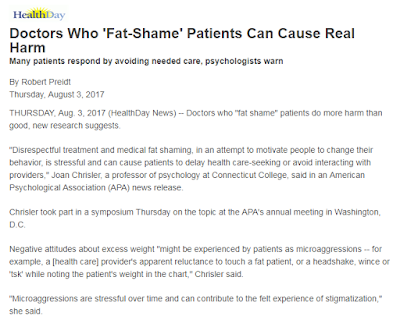 Would there be similar findings in the U.S.? MONDAY, July 10, 2017 (HealthDay News) -- Here's news to perk up your day: Drinking coffee might help you live a little longer, two new studies suggest. Researchers found that daily coffee drinkers were up to 18 percent less likely to die over the next 10 to 16 years, versus non-drinkers.